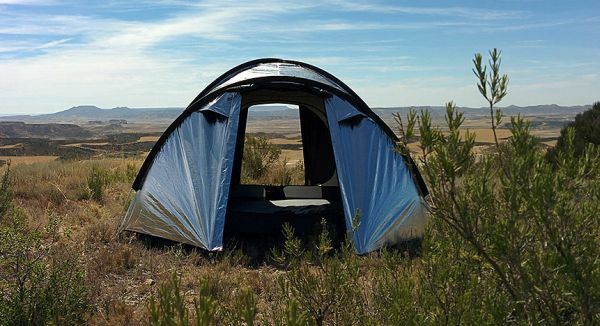 To relief you from all the aforementioned camping woes, Australian startup Outback Logic LLC has come up with a cool solution in form of the Siesta 4 Tent that blocks excessive sunlight and heat. It is made out of ultra-reflective fly fabric that looks like a shiny metal. 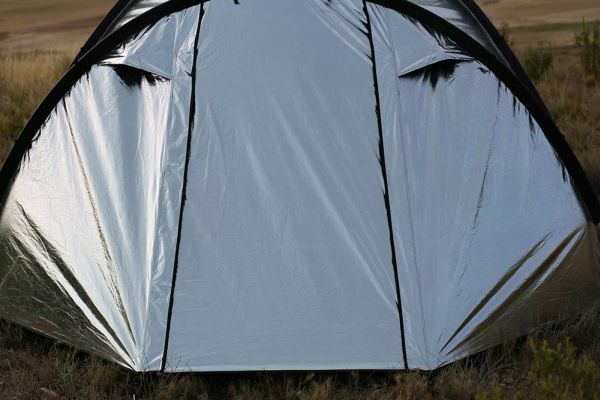 This metalized fabric with double-wall design can effectively reflect UV, visible and infrared rays to keep light and heat out of the tent, forming a radiant barrier. So, it allows the inhabitants sleep without being disturbed by overheating, even during hottest summer days in desert areas. The unique sun-reflective fabric is designed especially to keep interior of the tent cooler, just like soothing breeze. It also blocks daylight, so that inner area gets very dark when doors are closed, so your sleep won’t be disturbed due to daylight. It consists of 13mm aluminum poles to firmly support the entire tent, and has floor area of 8 x 8-inches (expandable up to 3-inches), providing enough space for a comfy stay inside. Besides all that, material of the tent is also lightweight and waterproof to withstand any weather. 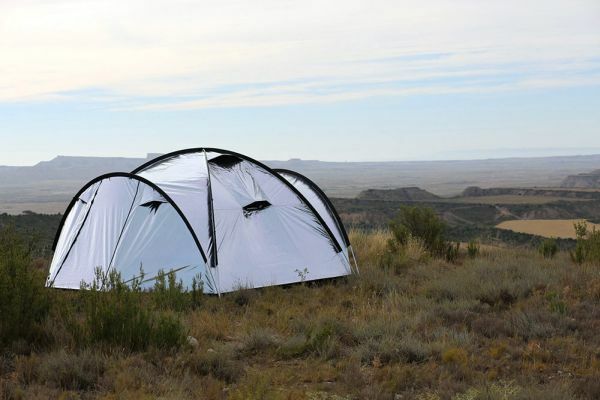 Moreover, there are mesh inner walls to keep annoying bugs and insects out of the tent. This is surely the ultimate camping tent that all adventure junkies have been waiting for so long. As it is designed keeping in mind the extremely hot temperature condition of desert regions, so you don’t have to suffer from sleeplessness, while camping during hot summer season. Already decided to purchase it? Well, hold on to your horses- as it is still in its prototype phase and there is no word on its pricing as well as availability so far. The company will launch a Kickstarter campaign for the project by end of this month. For more information about the UV-reflective tent, you may visit the startup’s official Facebook page.